MnROAD is a pavement test track made up of various research materials and pavements owned and operated by the Minnesota Department of Transportation, working with its partners. 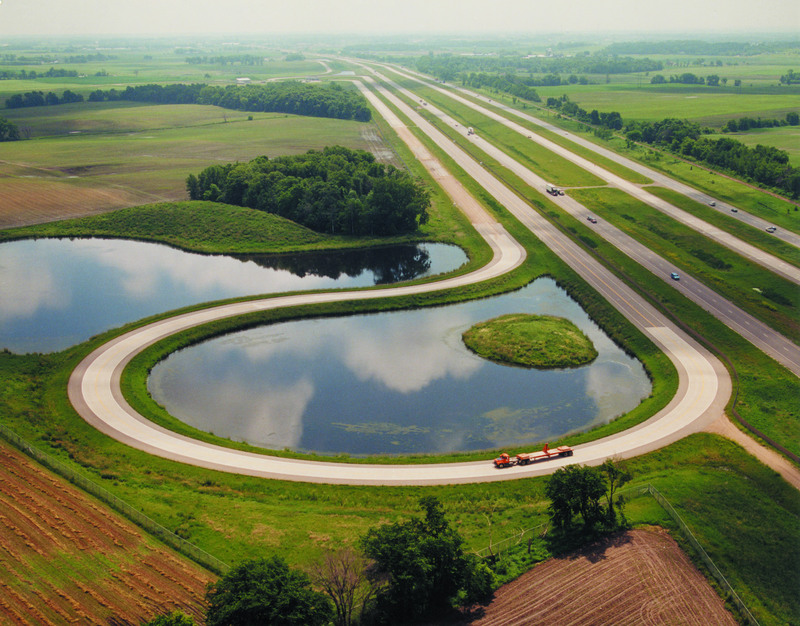 Located near Albertville, Minnesota, MnROAD works in conjunction with MnDOT's Materials Lab. It finds ways to make roads last longer, perform better, cost less to build and maintain, be built faster and have minimal impact on the environment. The MnROAD test track was initially constructed between 1991-1993 and is one of the most sophisticated, independently operated pavement test facilities of its type in the world. Researchers from all over the world are using MnROAD data and research to improve roads in cold weather climates. Contact us to arrange a tour. MnROAD relies on partners from around the world to help fund, shape and share research. Get involved.